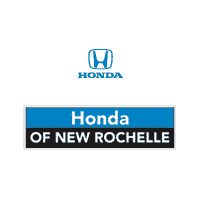 Whether you’re looking for a used Honda, a used car, used truck, used SUV, or used van, Honda of New Rochelle has a vast selection of affordably priced pre-owned vehicles. Looking for a used vehicle in like-new condition? Be sure to check out our stock of certified pre-owned Honda models, which have been restored and come with a warranty, as well as a number of other certified pre-owned benefits. To get the process started, contact us online or give us a call at (914) 636­-2000. You’ll find we offer prices that draw drivers from Bronx and White Plains alike.